During The Mid-Eighteenth Century, The Georgian Style Became Immensely Popular, Not Only In England, But Also In Colonial America. This Collection Was Influenced By The Georgian Style, Characterized By A Sense Of Proportion, Balance, And Carefully Thought Out Details. Furniture And Objects Of The Time Were Of A Larger Scale, Yet With A Lighter Feeling Than Earlier Periods. This Lighter Feeling Transmitted Grace, Elegance, And Prominence, And Allowed Details To Become More Of The Focal Point, Rather Than The Principle Elements Of The Structure. The Georgian Court Collection Reflects Those Earlier Influences With A Well-Balanced Proportions, Attractive Brass Finished Details, And Amber Glass With A Marbleized Finish And Decorative Ring. 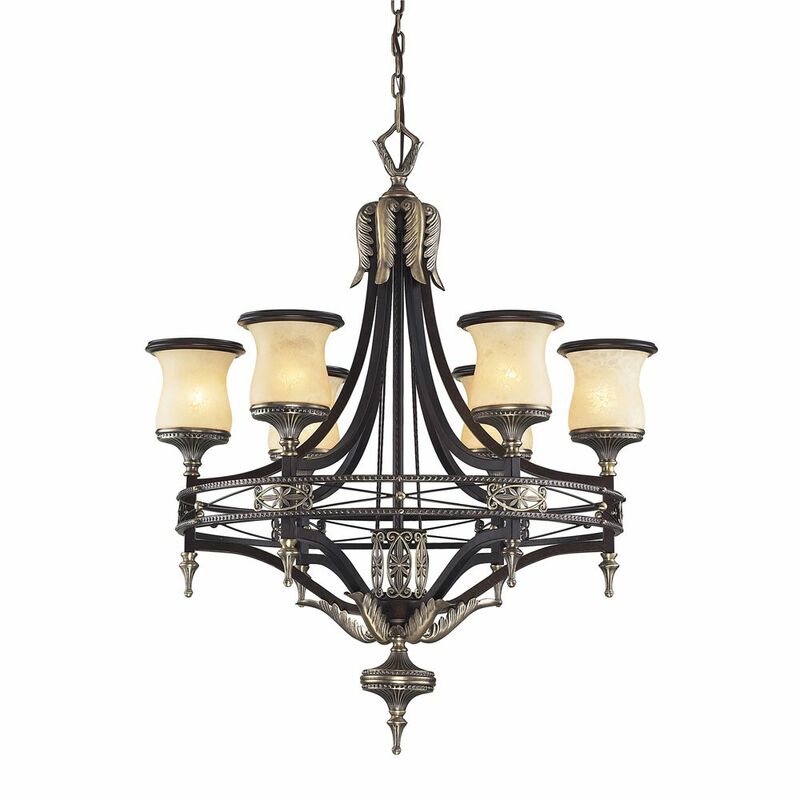 6- Light Ceiling Mount Antique Brass Chandelier During The Mid-Eighteenth Century, The Georgian Style Became Immensely Popular, Not Only In England, But Also In Colonial America. This Collection Was Influenced By The Georgian Style, Characterized By A Sense Of Proportion, Balance, And Carefully Thought Out Details. Furniture And Objects Of The Time Were Of A Larger Scale, Yet With A Lighter Feeling Than Earlier Periods. This Lighter Feeling Transmitted Grace, Elegance, And Prominence, And Allowed Details To Become More Of The Focal Point, Rather Than The Principle Elements Of The Structure. The Georgian Court Collection Reflects Those Earlier Influences With A Well-Balanced Proportions, Attractive Brass Finished Details, And Amber Glass With A Marbleized Finish And Decorative Ring.